Nebraska football fans were jolted out of a sleepy June afternoon to learn that the Huskers lost three players from the 2015 roster. According to Husker Online, wide receiver Jariah Tolbert and defensive back LeRoy Alexander will be transferring, and linebacker David Santos has left the team. No reasons were given by Nebraska head coach Mike Riley for the departures of the three players. And while we don’t know the reasons why these three left the team, we can take a look at the impact their departure will have on Nebraska in 2015. Of the three, Tolbert’s loss should have the least immediate impact. While Tolbert did look promising in this year’s Spring Game (3 catches for 55 yards and one touchdown), it did not look likely that he would press for a starter’s position this year. Likely behind Jamal Turner, Jordan Westerkamp, and De’Mornay Pierson-El, Tolbert would likely have been a rotation player in the wide receiver corps. While losing Tolbert certainly isn’t good news, of the three his loss should be the least noticeable next season. We don’t have any information from the coaching staff as to why Tolbert is transferring. But we do know (according to Husker Online) that Tolbert had a drug charge on April 30, and was caught by university police with marijuana in February. Whether those incidents were part of the reason for Tolbert’s transfer is unknown at this time. Alexander’s departure from the team has the potential to make a bigger difference for Nebraska in 2015. Some people (including this dope) thought that Alexander had a good chance to win one of the starting jobs at safety this year. Alexander was suspended for the 2014 by former head coach Bo Pelini, although the specific reasons for the suspension were never made public. While Alexander only started one game in 2013, he was a regular contributor, playing in 13 games with 34 total tackles. According to 247 Sports, Alexander was working out primarily with the second team defense this spring. But Nebraska’s secondary is one of the deepest units on the squad. So even though Alexander had the potential to be a major player in Nebraska’s defense, the depth of the secondary makes his transfer easier to absorb. Of the three, Santos’ departure is by far the most concerning. Other than the true freshmen coming in, before Santos left Nebraska only had five scholarship linebackers. Now, with Santos leaving, that total drops to four. And considering that Luke Gifford redshirted last year, there are only three (!) linebackers on Nebraska’s roster with any playing experience. One of those three, Marcus Newby, has only played in nine games, making three tackles, and was rotated between linebacker and defensive end. That’s a huge problem, and raises huge question marks for Nebraska’s defense. Nebraska will now be forced to rely on untested players—perhaps some true freshman—to contribute at linebacker in 2015. As an early-enrollee, Daishon Neal is hoping to have a leg up on the other true freshmen in earning playing time. His off-season workout, according to the Omaha World-Herald, has been designed to help him achieve that goal. But it’s a big ask for a true freshman to come in and succeed at linebacker. Still, given Nebraska’s dangerous lack of depth at linebacker with Santos’ departure, Riley may be left with little choice other than to throw the kids on the field and hope for the best. If there is a silver lining from this three-player exodus, it’s that Nebraska is now at the 85-scholarship limit for 2015. Although there was never much doubt, it did seem a little odd that we would be in June and Nebraska was still three scholarships over the 85 limit. 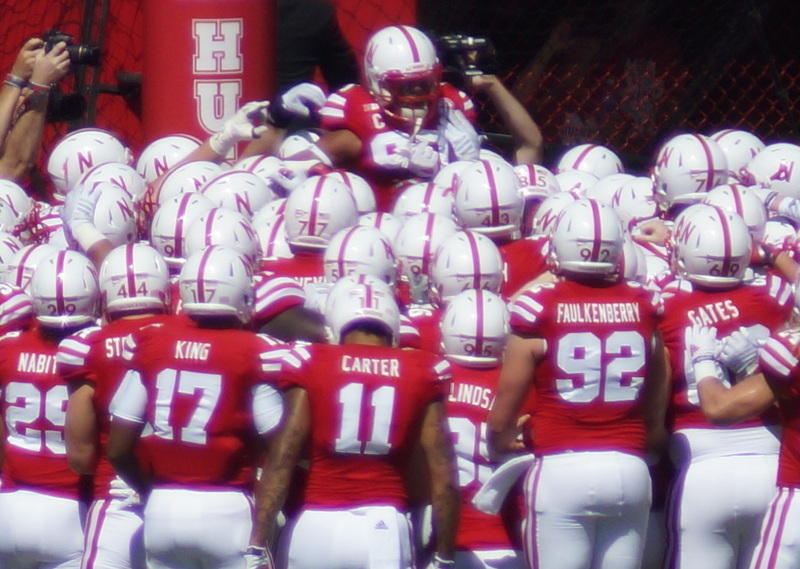 Now, with the departures of Tolbert, Alexander, and Santos, at least we will have some certainty as to the composition of Nebraska’s roster in 2015.